“A mysterious and deadly disease breaks out in a remote town built upon old tanneries and butcheries. Whilst the disease can be identified by physical symptoms, its roots and origins remain mysterious. The disease is highly infectious and deadly. It affects the neural and the blood-circulating systems, crippling both body and mind. I don’t know about you, but I want to play this game NOW. This is a remake of the original, with a lot of updates and fixes. The game is about survival, and is in semi-real time (two hours of gameplay = one in-game day). The game hits a lot of the buttons that make me love something – open world with a story, exploration, and emphasis on choice. 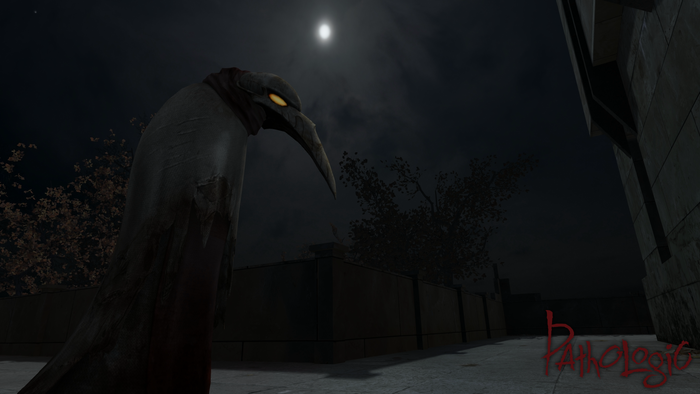 Pathologic first came out on 2005, and it’s somewhat of a cult classic. However, the company admits that it succeeds despite its flaws, and they want to go back and make it right this time. Rewards are many, but you can get in on the ground floor (a copy of the game, a soundtrack, an art book, and a Kickstarter-exclusive item) for only $25. At the time of writing, they’re only $10,000 away from their goal, so I hope we can make this happen! Back the Kickstarter here until Tuesday, October 7th at 6:49am EST. Go to the official site, like the team on Facebook, and follow them on Twitter and Google Plus.